Whether it is running IP telecommunications for your business, supporting your online services or running IP integrated systems, all these require a common support structure, the internet. With more and more people adopting IP based services, and more services being integrated, a reliable network is required to support the interconnectivity. This is where a high performing internet connection such as a fiber optic internet comes in. 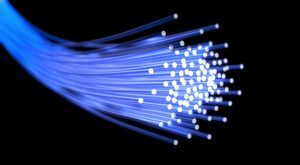 Unlike the copper wire based internet that most of us use today, fiber optics doesn’t rely on electricity, but on light as a means for data transmission. This means a Greater Bandwidth and the opportunity to run integrated device systems on the same connection without a hitch. Moreover, lines for fiber connections are laid separately for each business thereby allowing for more security and Higher Speed. This internet is also accessible over larger distances. Ever heard of an online business that isn’t online? most definitely not. A fast-paced internet connection allows you to: interact better with customers, have seamless operation during periods of heavy server load, act quickly on modifications and ensure that product updates are reflected real time at the earliest for clients to view. There are also additional benefits like seamless access to cloud applications, video conferencing and file sharing. 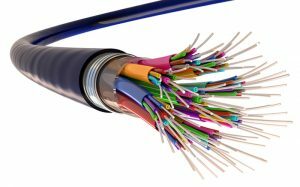 With so many benefits, seems like Fiber Optics are still hot in the race for best network cables in 2019! Services such as telephony, messaging and other multimedia interfacing are all being unified into single architectures today. In such UCs, the data traffic is plenty, and several layers of networks are added causing network burdens. This would mean that cabling should account for the required data capacity. With fiber cables having data capacities of 1GB up to 10 GB, these cables are rivalling UTP and traditional copper cables as both network cables and in cost effectiveness. Moreover, Real-time communication can only be real time if the data reaches terminals on time. Otherwise, a UC network breaks down with call disturbances and delayed response times. Finally, on an interesting note, companies that deploy fiber optic networks today often lay excess to account for expansion. These are called “Dark Fibers” and they can be privately owned and leased by the companies to earn some extra money. So, hey why not deploy some extra fibers while you are at it? Internet of Things (IoT) is the next big thing in the integrated communications department. While the devices in the IoT network does not require large bandwidths to interact, as a part of constantly sharing status updates with other devices, they require high speeds. This is because in IoT, machines work in a coordinated fashion and one’s function may depend on another. So, for real time updates good internal connectivity is necessary. Fibre optic solutions can be used in factories and in residential places where wireless connections are hard to deploy due to factors such as signal noise or the environment. These are called in-building fiber deployments. Due to their resilience, they are effective in doing their job in extreme conditions compared to wireless solutions as of today. While normal fiber optic connections do a fair job in the context of converged IP networks, in the future, we need to start Looking for Faster Connections to handle our growing data hunger. One such potential method that could fill such a void is the Wave Division Multiplexing (WDM). This method like its predecessor depends on light to carry data packets except here, the light beam is split into different wavelength channels using fibre optic glass. These channels then go on to carry more discrete data. One of the key features of this is that for those that already rely on the old fiber connection, the existing connection just needs to be altered slightly to enable this. Currently, WDM supports 40 channels which will be expanded to 128 channels soon. So, what are you waiting for? Find best fiber optic provider near you and get started!